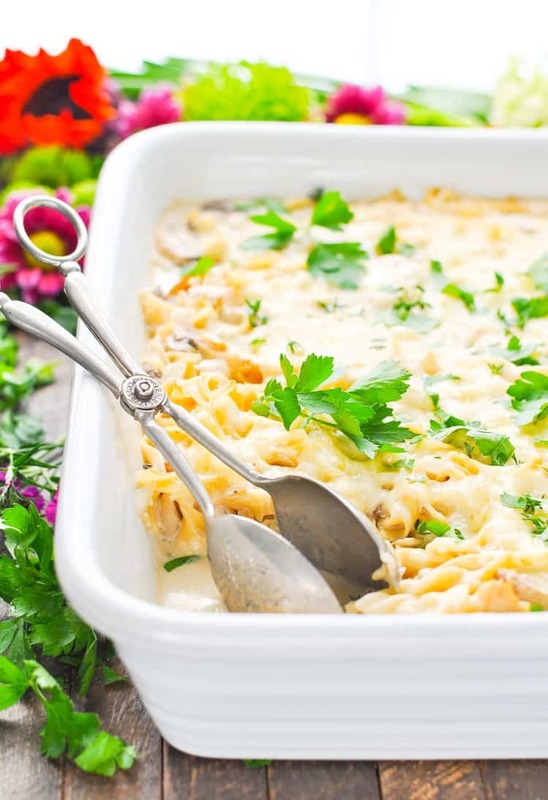 This sump and bake turkey tetrazzini is the perfect way to use up leftover turkey or chicken, so quick and easy to make! 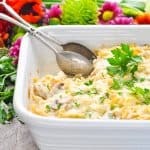 The perfect way to use up leftover turkey or chicken, this Dump-and-Bake Turkey Tetrazzini is an easy dinner casserole with just 10 minutes of prep. You don’t even have to boil the pasta — just stir everything together and pop it in the oven! 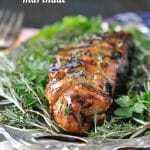 Remember that recipe for Garlic and Herb Roast Turkey Breast that I shared last week? 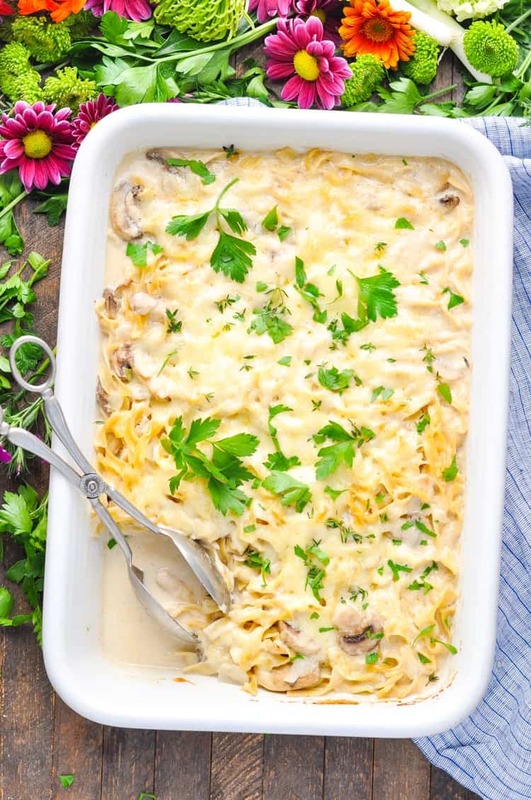 Well hopefully you’re planning to serve it for your Thanksgiving dinner…and hopefully this Turkey Tetrazzini will be on your table the very next night! After a busy day in the kitchen full of cooking, baking, and entertaining, the last thing that any of us want to do on the day after Thanksgiving is slave over a hot stove! That’s why you’re going to loooooove this dump-and-bake recipe, which works equally well with leftover turkey or chicken. 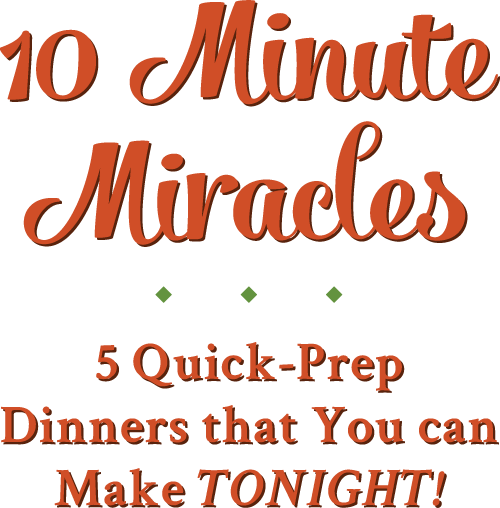 It’s a creamy, dreamy one dish meal that only requires a few minutes of effort on your part! You know I’m a huge fan of dump-and-bake dinners, and I’ve managed to create about a zillion (small exaggeration) different recipes that all involve the same general method: stirring everything together and baking it in the oven. That’s it! As far as I’m concerned, the less prep work involved, the better — and that’s never more true than during the busy holiday season. This is the time of year when we’d rather be shopping for gifts, socializing with friends, or cozied up on the couch watching a good movie — not stressing about what’s for dinner! Instead, you can keep these ingredients on hand and serve the Turkey Tetrazzini any time you need any easy, comforting, weeknight dinner. It’s just as good on a random Wednesday evening as it is on the Friday after Thanksgiving! 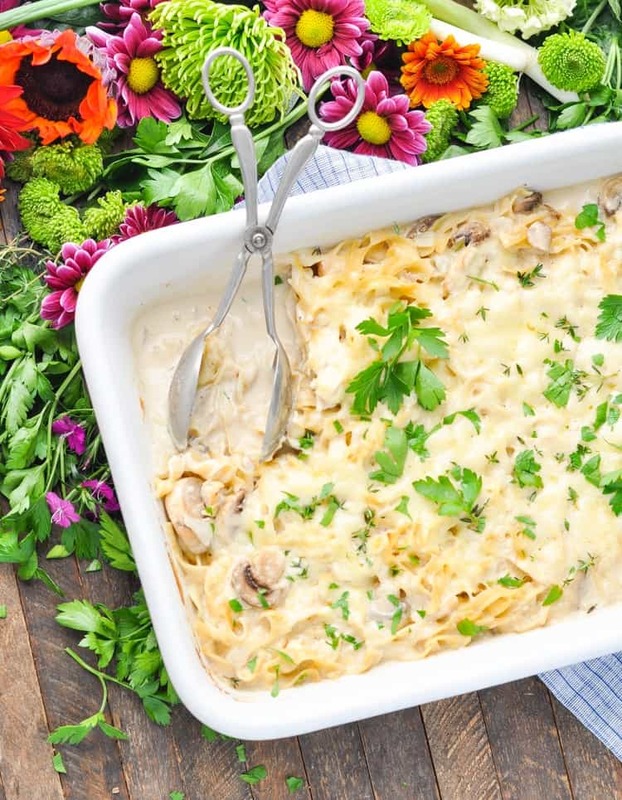 I hope that you have a wonderful holiday season, and that a simple Dump-and-Bake Turkey Tetrazzini makes mealtime just a little bit quicker and easier! 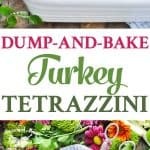 If you’ve tried this Dump and Bake Turkey Tetrazzini or any other recipe on The Seasoned Mom then don’t forget to rate the recipe and leave me a comment below! You can also follow me on Facebook, Twitter, Instagram and Pinterest to see what I’m getting up to. Preheat oven to 425F (220C). Spray your largest baking dish (I used a deep 9 x 13-inch dish) with cooking spray. 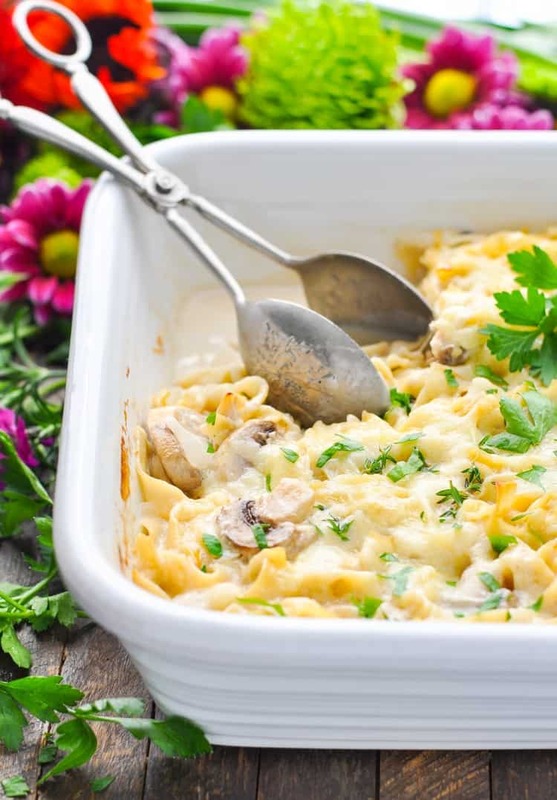 In the prepared dish (or in a separate bowl), whisk together the Alfredo sauce, chicken broth, and sour cream until smooth and completely combined. Stir in the uncooked noodles, onion, turkey, mushrooms, and garlic. Cover tightly with aluminum foil and bake for 30 minutes. 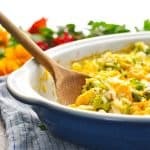 Sprinkle cheese over top of the casserole and bake, uncovered, for 10 more minutes (or until cheese is melted and pasta is tender). Garnish with parsley, if desired. Cooking Just for Two? 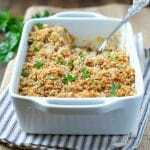 You can prepare a smaller casserole by cutting all of the ingredients in half and baking the tetrazzini in an 8-inch square dish. Previous Post: « Our Week in Meals #51 + Halloween! 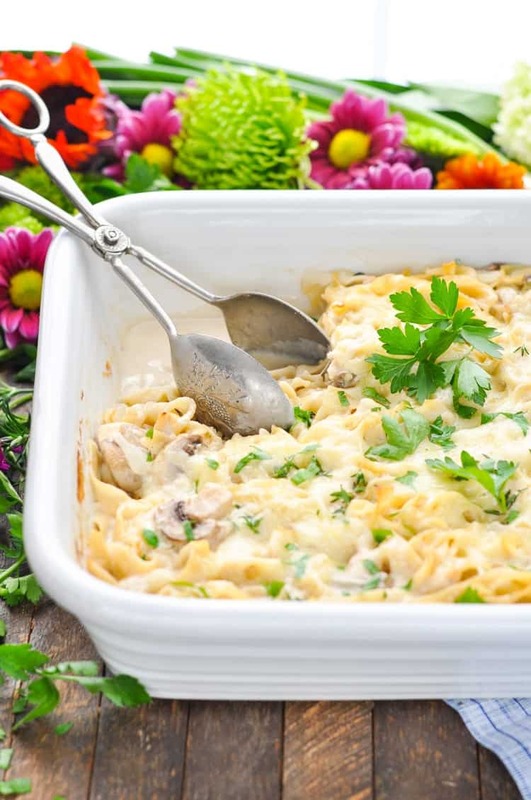 Turkey tetrazzini is one of my favorites this time of year! I can remember the first time having it when I was at a friends house, and I immediately LOVED it! This dump and bake version is calling my name. Sounds wonderful! Thanks, Gayle! It’s definitely a classic from my childhood, too! I love your dump-and-bake meals! They would be perfect for my 3 daughters who share a house and never have time to cook. Unfortunately, one objects to the ‘dump’ part of the title, LOL. What else could I call these so she will try them? She HAS, of course, eaten such meals many times at Mom and Dad’s. And loved every bite. Semantics is the only thing holding her back from making one herself. Hey, Barbara! I’m glad that your daughters enjoy the recipes, and I’ve certainly heard other folks complain about the “dump-and-bake” name. 🙂 I know it’s not the best, but I think it’s so perfectly descriptive! I would call it something like, “quick-prep” or “no-prep” or “just bake” instead! I’ll try ‘quick prep’ next time. That’s an equally enticing term that should appeal to her. 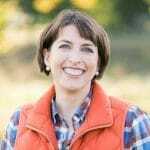 I know it worked for me – that’s how I found your site. The dump and bake queen has done it again!!! I’m saving this to make after thanksgiving! 5 stars!! Absolutely delicious turkey leftover option! It is even better as a leftover dish. Thank you for sharing! Yay! I’m so glad that it was a hit, Debra! Thanks for letting me know! Can you use different cheeses besides the 2 that are listed? Hi, Debra! Absolutely! Feel free to use any cheese that you love! 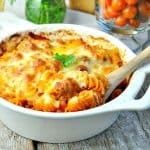 This looks incredible, perfect for weeknights! This recipe sounds great! Unfortunately, everyone in my family despises mushrooms. Can they be substituted, or omitted?